Cloning, in its simplest form, is the use of one of several methods to create organisms that are genetically identical to its original. Reproductive cloning specifically involves a process known as "Somatic Nuclear Cell Transfer", which involves transferring the nucleus of an adult cell into an egg with no nucleus. If the egg begins to divide normally it is transferred into the uterus of the surrogate mother". Hopefully, this will result into a full pregnancy period and eventual birth, but the success rate of these experiments have been in the 0.1~3% ranges. The history of cloning has been a fairly recent one compared to other sciences, but it's still a surprising fact to some when told it's been around since the 1950's. It all started with two men by the names of Robert Briggs and Thomas J. King and a group of northern leopard frogs. Amazingly enough, no one called it cloning until 1963, when a biologist referred to it as such in a speech. 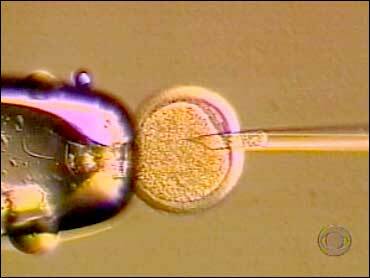 Cloning of various degrees and success would continue, but no one tried their hands at human cloning until 1993, where they attempted to clone human embryos. This, however, was not as spectacular as it would seem, as scientists have been doing such things with other animals since the 1980's. The real surprise would not arrive until 1996 with a little lamb by the name of Dolly, the first mammal to be created from ADULT cells. Dolly's successful birth by the Roslin Institute of Scotland would open the floodgates for future forays into human cloning as well as the media hype and panics that would soon follow.